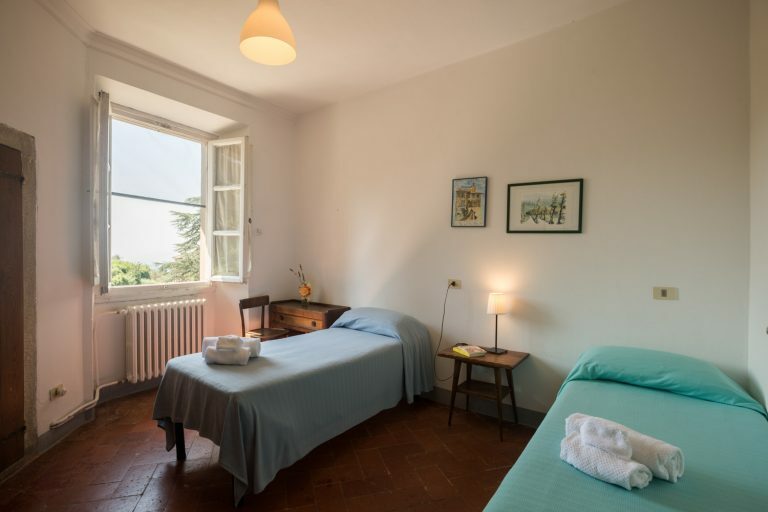 Casa Cares is the affordable holiday home just a stone’s throw from Chianti that offers hospitality with personalized solutions to satisfy all your needs. 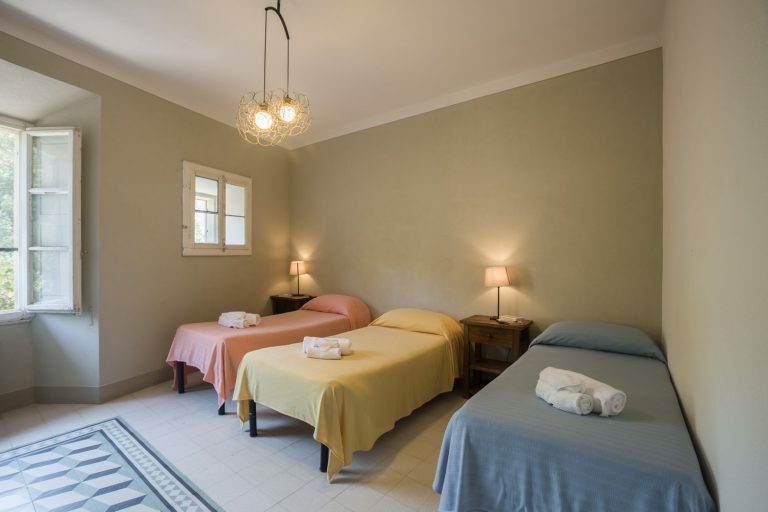 The manor house of the Graffi farm is composed of eighteen ample and sunny rooms that can satisfy all the desires of our guests, whether they are alone, in a couple or a group. Some rooms have an internal bath, others have an external bathroom for their exclusive use. Bed and bath linens are included and so is daily cleaning of the bath. Furnishings are typical of Tuscan country homes and surround guests with the warm and relaxing hospitality of the hills that surround Cares House. Our double rooms offer a splendid view of the Villa garden. The sunny rooms are welcoming and furnished for the comfort of single travellers or couples. 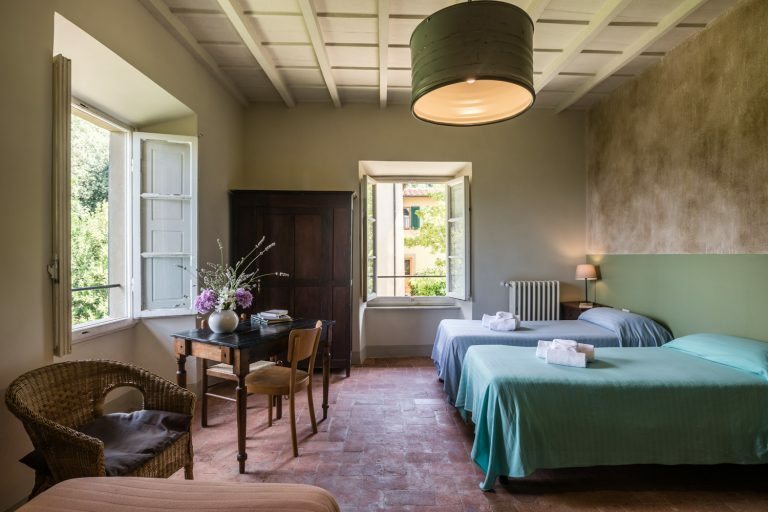 Rooms for three or four persons are situated on the second story of the house and offer a magical view of the Tuscan hills. The sunny rooms are welcoming and furnished for the comfort of families or small groups. Ideal for numerous families or groups, the rooms for five and six guests are ample, sunny and furnished in the classic style of a manor house. They are perfect for complete relaxation, with good company.